Mary condoles her brother for the recent loss of a loved one, and also sends him news of their mother and sisters. 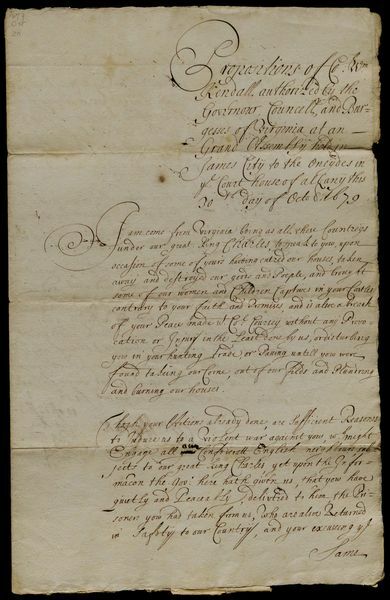 Title: Patience Wilsons bill present unto the honoured court 29 (2) 1647. Also signed by Will Colbron, John Jackson, and Speaker of the House Joseph Sills. 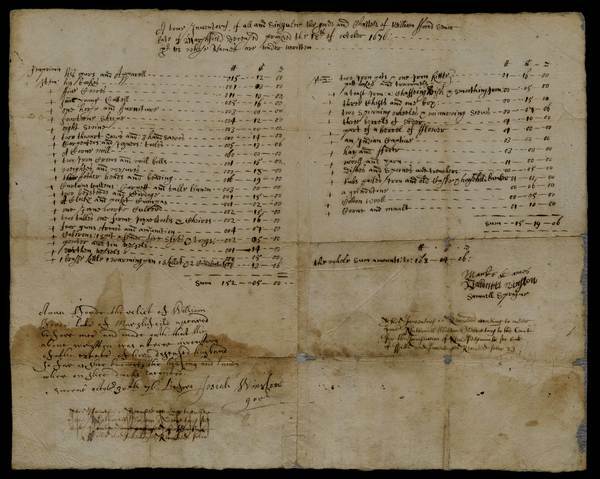 An itemized bill for an addition to the prison. Docketed. 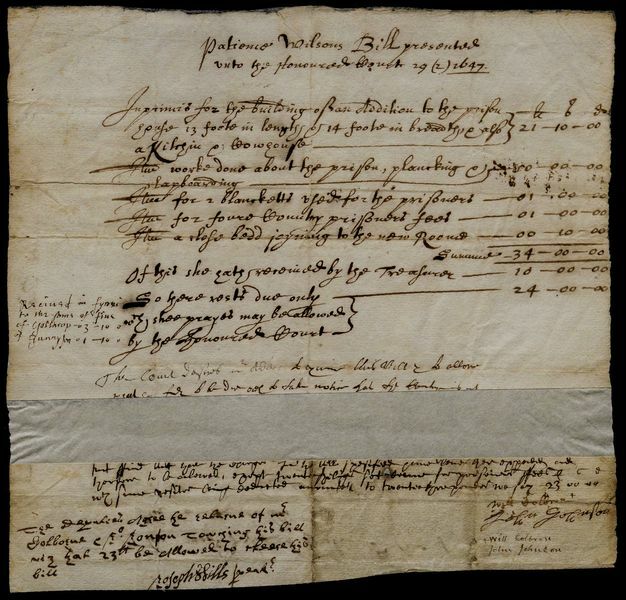 Signed on the verso as Governor of the Massachusetts Bay Colony. Winthrop refers the bill to Magistrate Johnson and Speaker of the Committee William Best. Title: Summons for Eliz. Ball. Written by Gookin as a jurist in the Court of Assistants. 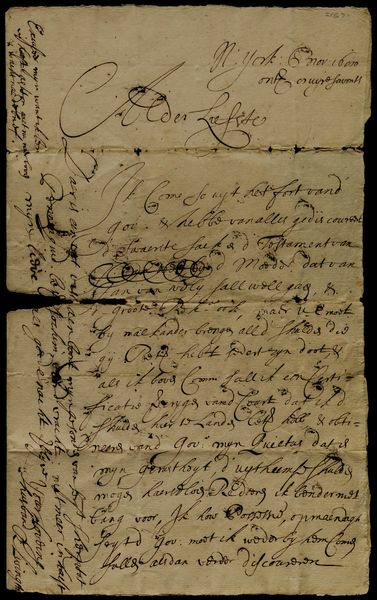 Addressed to the Constable of Watertown, Massachusetts. Ball was accused of breach of the peace and ordered to appear at court in Charlestown, Massachusetts. Ball, wife of settler John Ball, was noted as being insane by 1660. 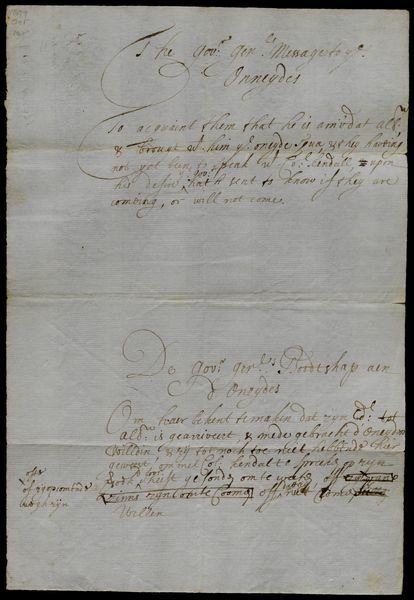 Title: [Evidence taken against Mary Tuste for libel against jurors who had found her husband guilty in a trial in May 1659]. 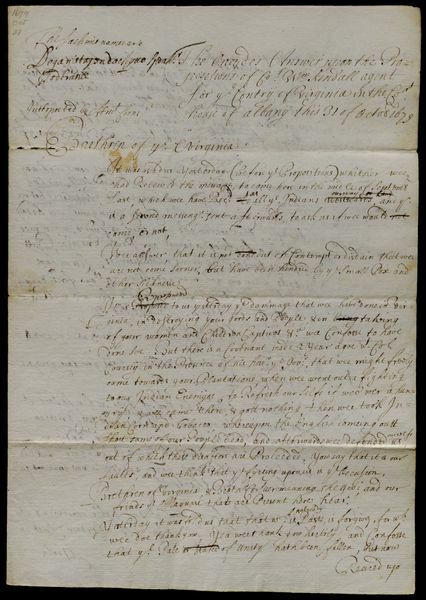 Deposition of John Winsley taken by Bellingham as Royal Deputy Governor of the Massachusetts Bay Colony. Plaintiffs are not named. Bellingham was Royal Governor of the Massachusetts Bay Colony three times. 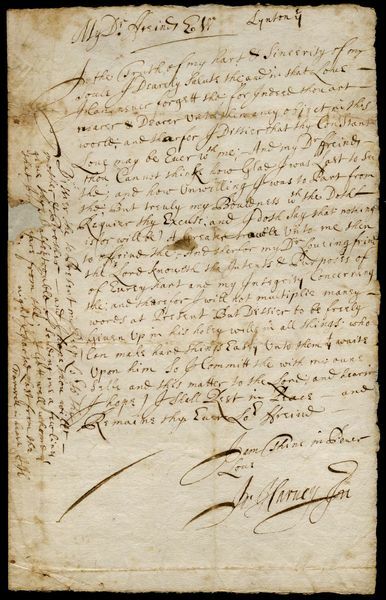 Petition for one of the first English children born in the New World, signed by Sarah Pope, a passenger aboard the third ship to arrive at Plymouth, the Anne. Title: Elizabeth Stevenes widow being now in the 60 year of my age. Deposition sworn before Bradstreet concerning the medical mis-treatment of her brother's son Samuel. 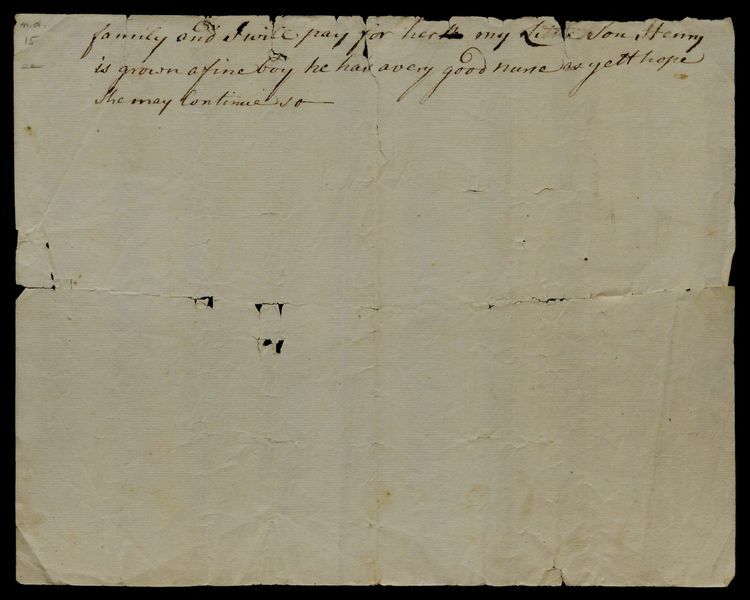 Title: [Last will and testament of Henry Perring of Brookhaven on Long Island]. 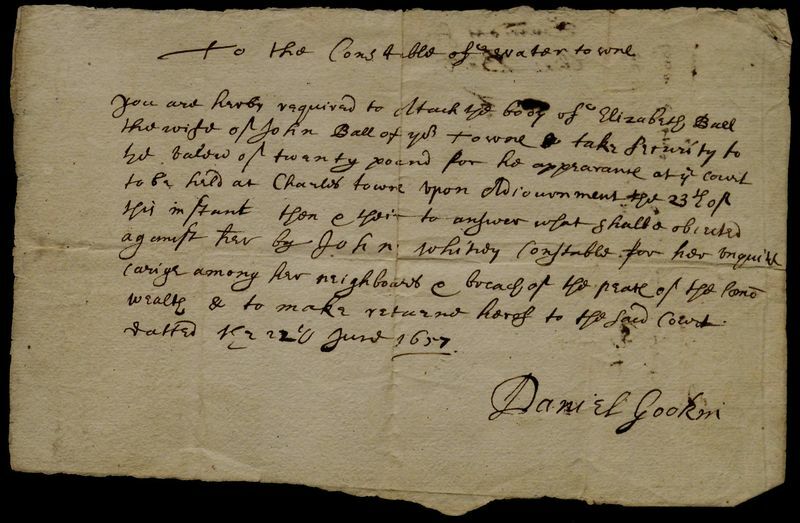 Attested and signed by Richard Woodhull. 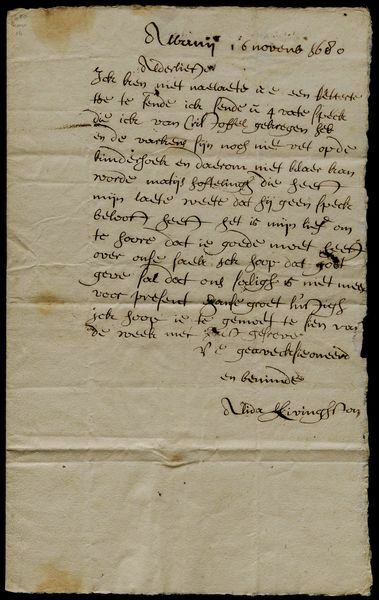 Bequeaths his full estate to his wife Hanna Perring, unless she remarries. Perring, Brewster, and Woodhull were among the first patentees of Brookhaven, Long Island. Also signed by Marke Eames, Nathaniel Winslow, Samuel Sprague, and Secretary of the Colony Nathaniel Morton. Notes that Foard's widow, had appeared before him and testified that this is a true inventory, the lands and house where she dwells excepted. Signed as Governor of the New Plymouth Colony. 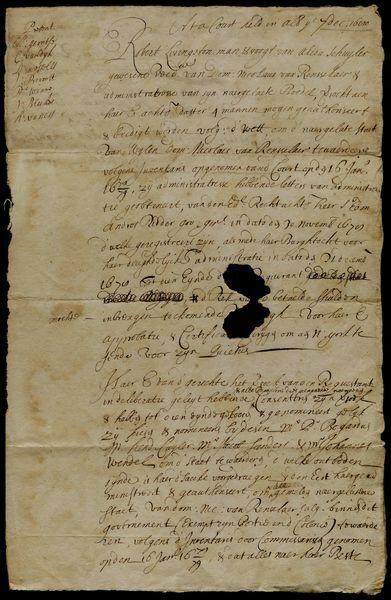 The document announces the Governor's arrival in Albany with the Oneida squaw, and asks if the Oneidas plan to join them. 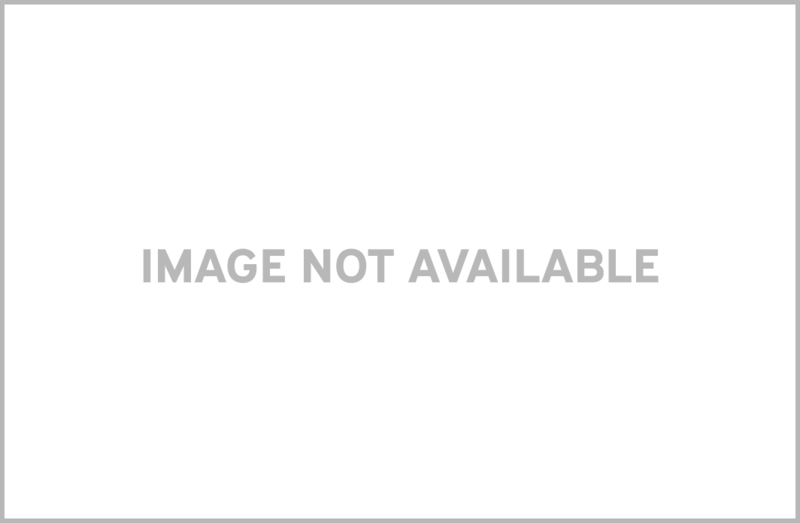 Title: "Accompt of Charges Expended upon the Christian Prisoners to witt . . .
. . . 2 woomen & 4 children wh. came from Oneyde, being taken from Virginia." 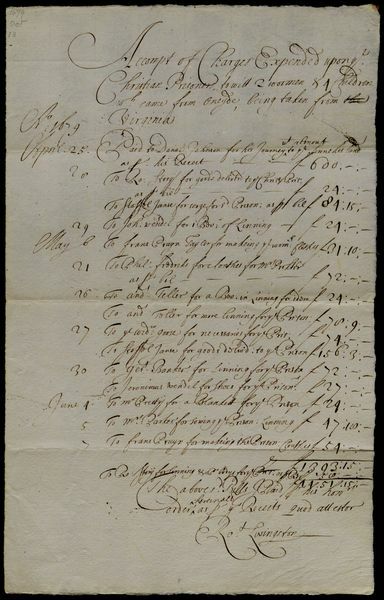 Account of the services rendered by different individuals and the sums that they were paid. 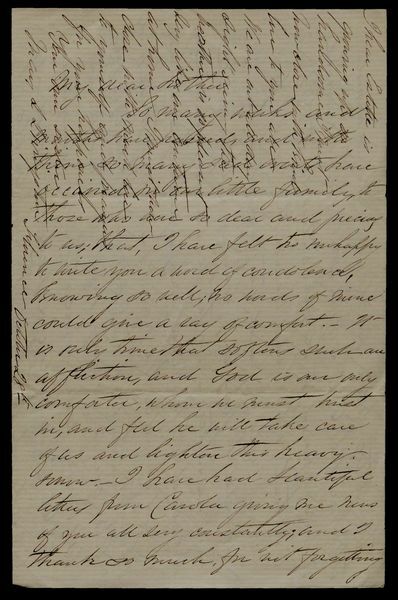 Kendall states that he is writing to discuss recent incidents of Oneida Indians destroying and plundering colonial settlements, and abducting some women and children. He explains that he is willing to forgive these actions as long as the Oneida agree to cease all attacks, and obey the law that obliges all Indians to stand still and lay down their weapons upon contact with a white man. In their answer, the Oneida Sachems admit that they destroyed the property of white settlers and took women and children captive. They explain that they were unjustly provoked, however, when white settlers shot some Oneidas for eating their corn, a privilege that Coll. Coursey granted them in a convenant made two years prior. The Sachems ask for a return to peace, and request that they be treated as friends in the future. Document signed by Robert Livingston Secr. as a true copy that he translated. 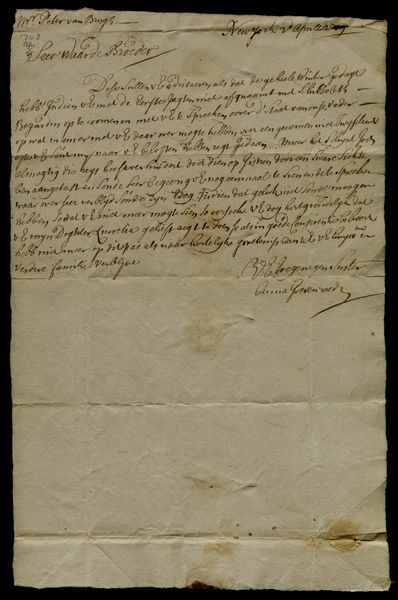 Title: [Petition of Joane Wooledge]. Also signed by Francis Williamson and one other person. 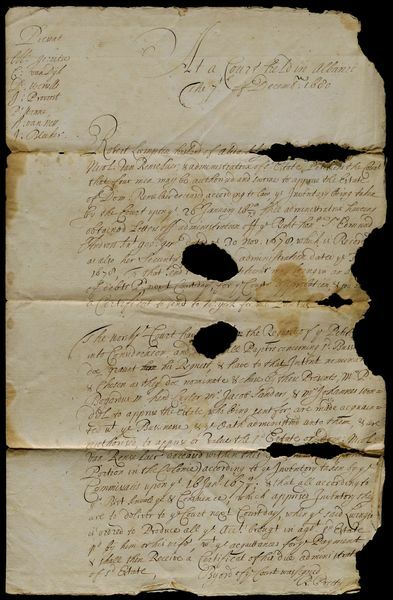 Joane Wooledge petitions to be given her cousin, Robert Hoskins's estate, since he has no will or heir. Further, she asks that Captain Henry Greenland and James Boller be appointed her guardians. Signed as Governor of the Province of New Jersey. 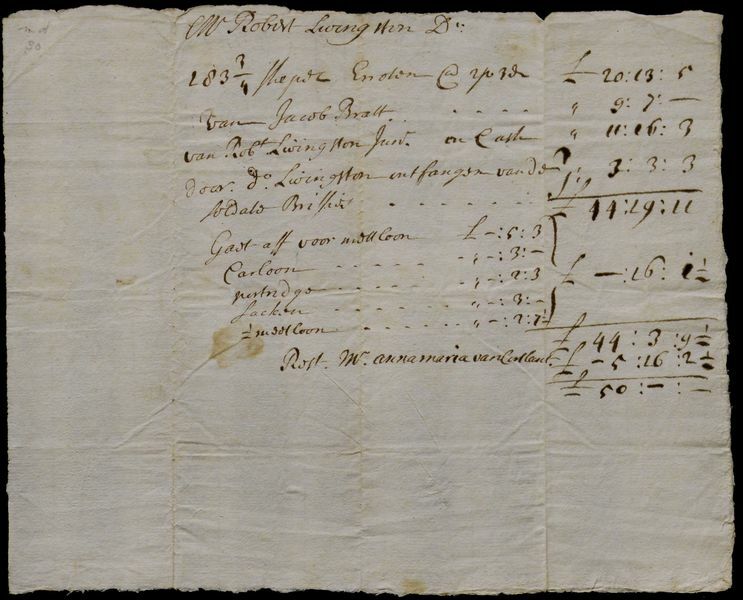 Document concerns Robert Livingston, Alida Schuyler, and Nicolaus van Rennselaer. 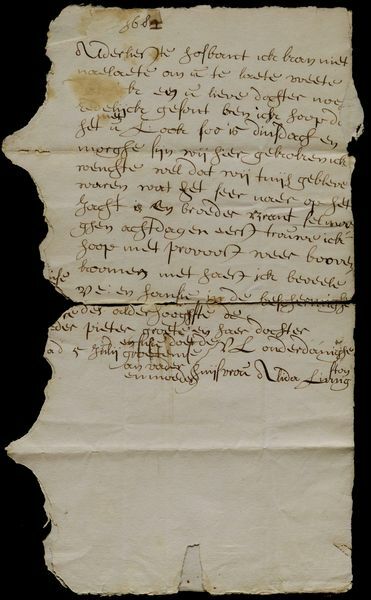 Contains names of seven individuals present, including C. van Dyk. 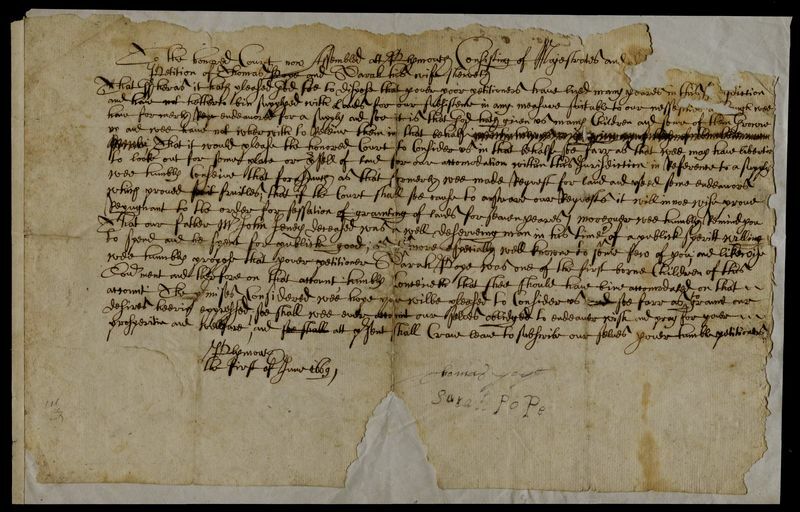 Title: Collection of 5 letters relating to Elizabeth Woodhouse. See decimalized entries. 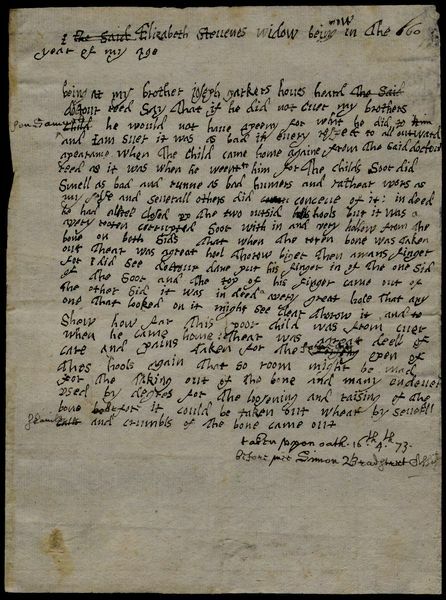 Penn gives advice to the father of Elizabeth Woodhouse, who had the choice of going to America or staying with her lover. 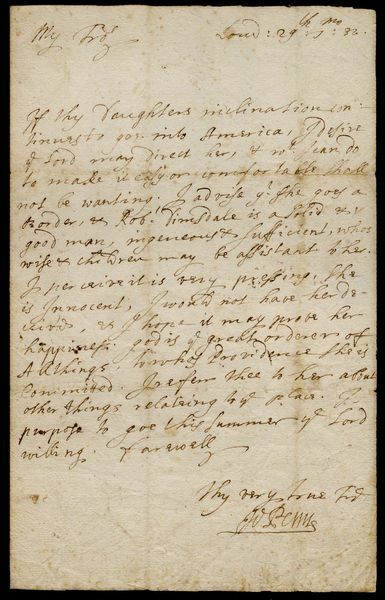 This letter mentions her wish to come to America, and Penn does not discourage the idea, mentioning that he will be going this summer (for the first time). Penn suggests practical protection with which to face the new continent. Dated in the old style. A love letter. Harvey apologizes for his "bouldness." Addressed to "My Dear friend E.W."